“Complete the streets! Complete the streets!” This was the rousing cheer from the crowd at Atlanta’s Capitol building last week. I was lucky that my visit in the city coincided with the yearly Georgia Rides to the Capitol event. 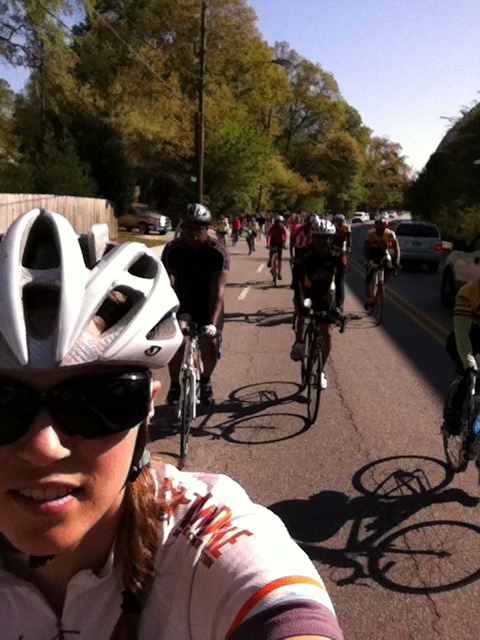 After meeting with Neil and the Metro Atlanta Cycling Club at a satellite location in Decatur, we rolled with hundreds of other cyclists towards downtown, meeting up with other groups along the way. 1,000+ people on bikes convened at the Capitol. Students, businessmen and lycra-clad racers stood side by side as the event took on a festival-like atmosphere. 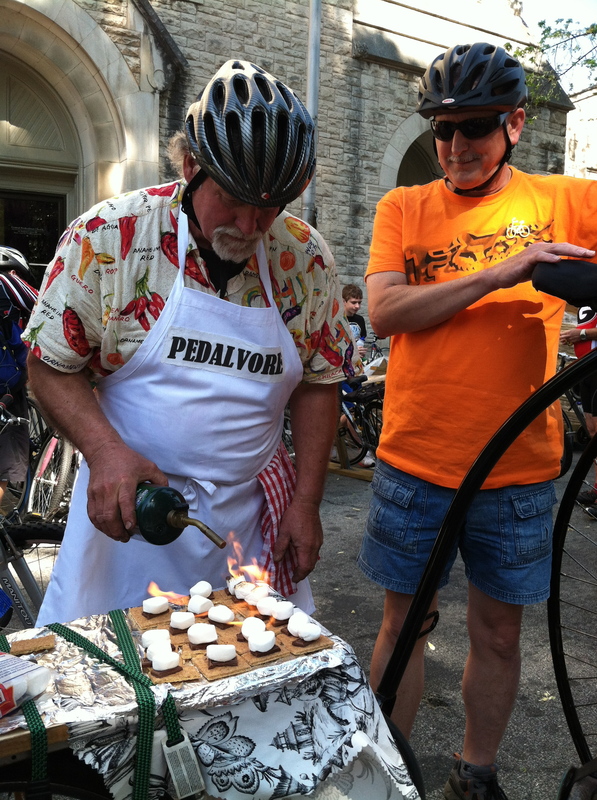 There were cheers, speeches and even s’mores made on the back of a bicycle! A self-proclaimed "Pedalvore". Definition: Eating within the area that your bike travels. Love it! I was impressed with the attendance and energy at Georgia Rides to the Capitol and wish these bicycle advocates the very best in the future. Thank you for making an Oregonian feel so welcome. Looks like a man who has made his peace with burnt S’Mores. I’m glad to hear that Georgia sends such a turnout for an advocacy ride. 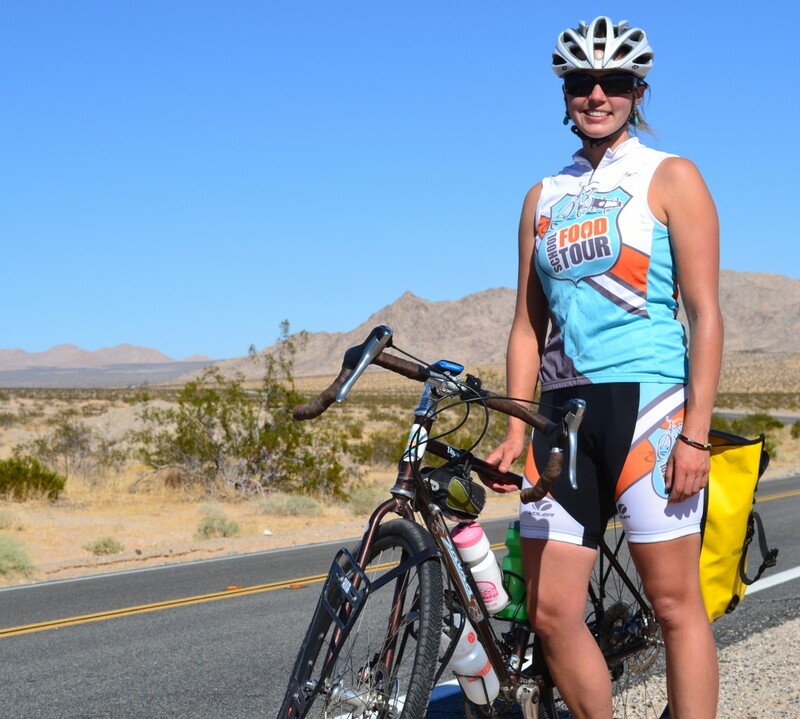 Nice riding yourself – every time I check this blog it seems you’ve ridden farther, worked with more schoolkids, and met more interesting folks than one would think possible in a few short days’ time. Keep up the fine work.